Aspiring singer, Catherine Brown (Miller), finds herself living a life she never imagined. Stuck at a dead end job in New York City at a mega music record label, Catherine spends her days as the wrangler for the labels most difficult star (Snow). But when Catherine is unceremoniously fired, and then comes home to find her long time fiance (Ritter) in the arms of another woman, she decides that its time for a change. 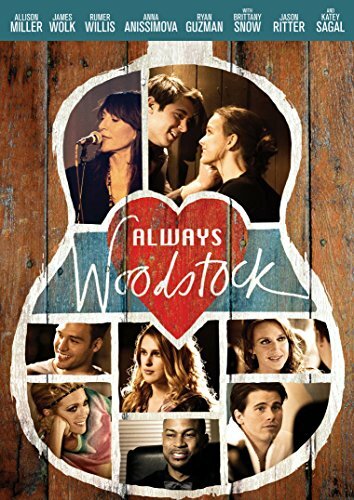 Selling off her engagement ring, Catherine moves back to her family home in Woodstock, to get back to what she has always wanted to do: write music. One night at a local bar, Catherine stumbles into handsome town doctor Noah (Wolk), and cannot deny the moment of magic between them. Little by little, Catherine starts to find herself, and write music, with the help of local legend, Lee Ann (Sagal). As she and Noah start to fall in love, Catherine realizes that becoming successful means becoming your true self first. Gravitas Ventures is a leading all rights distributor of independent cinema. Founded in 2006, Gravitas connects independent filmmakers and producers with distribution opportunities across the globe. Recent releases include PING PONG SUMMER with Susan Sarandon, THE LONGEST WEEK starring Jason Bateman and Olivia Wilde, FELONY starring Joel Edgerton, BACKSTREET BOYS: SHOW EM WHAT YOURE MADE OF and Spike Lees DA SWEET BLOOD OF JESUS. For more information, please check out www.gravitasventures.com and @GravitasVOD. Anchor Bay Entertainment is a leading independent home entertainment company celebrating its 20th anniversary in 2015. Anchor Bay acquires and releases a wide array of filmed entertainment in the theatrical and home entertainment markets, including STARZ Original series, children's entertainment, fitness (Anchor Bay Fitness), sports and specialty films on Blu-ray and DVD formats. The company has long-term distribution agreements in place for select programming with The Weinstein Company, AMC Networks and RADiUS, among others. Headquartered in Beverly Hills, CA, Anchor Bay Entertainment (www.anchorbayentertainment.com) is a full service distributor in the North American market. Anchor Bay Entertainment is a Starz (NASDAQ: STRZA, STRZB) business, www.starz.com.